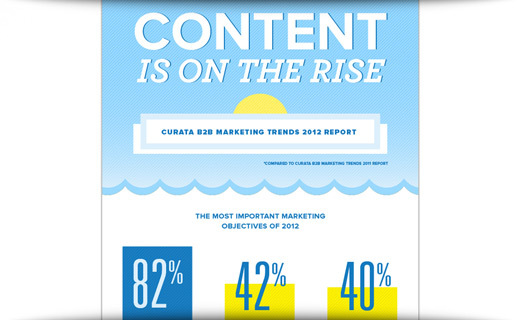 Today, 90% of B2B marketers use content marketing as the centerpiece to their content marketing strategies. But not all content is created equal: As more marketers invest in content marketing, many of them are struggling to engage with prospects and drive qualified leads. This eBook explains why webinars are the missing link between content marketing and lead generation. Learn why a recent survey of B2B marketers found that webinars are more effective than almost any other content marketing tactic. Twitter has announced new features for its web site and mobile apps designed to simplify the process of sharing and finding content. Users will now have the ability to email tweets more easily from the Twitter web site. The embedded option, which will be available through a new "More" icon next to the existing "Favorite" icon, will open an email window. Content curation, the process of finding, organizing and sharing online content, is increasingly a widely adopted content marketing strategy used to establish thought leadership, increase search engine rankings, educate prospects, fuel social media channels and boost overall lead generation. In this webinar, Pawan Deshpande, CEO of Curata, will walk you through the basics of content curation, use cases of how real-world brands from Adobe to Intel are employing curation, and arm you with 5 simple steps you can do today to begin curating. Content marketing is nothing new. 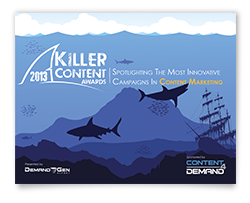 Regardless of the type of content, the goals remain the same: inform, educate, engage and provide value to prospects. A recent content marketing roundtable, sponsored by Bizo, highlighted different aspects of content marketing followed by executive viewpoints from panelists: Joe Chernov, VP of Marketing for Kivey; Ann Handley, Chief Content Officer at MarketingProfs; Matt Johnson, CMO of uTest; and Todd Wheatland, VP of Thought Leadership and Marketing for Kelly Services. Harte-Hanks, a direct marketing services provider, recently announced the commercial availability of The Demand Curve, a new insight-driven tool for technology markets. The solution builds on core areas including professional and business marketing data management, content development, digital and social conversations, and sales and marketing funnel management.